Boyd E. Nelson, 84, of Libby, MT passed away Wednesday, September 05, 2018 at the Libby Care Center of cancer. He was born July 15, 1934 at Crow Agency, MT to Frank and Naomi (Kephart) Nelson. In 1952, following high school, Boyd joined the United States Marine Corp. He went to Field Radio School and was then sent to Korea for a year. 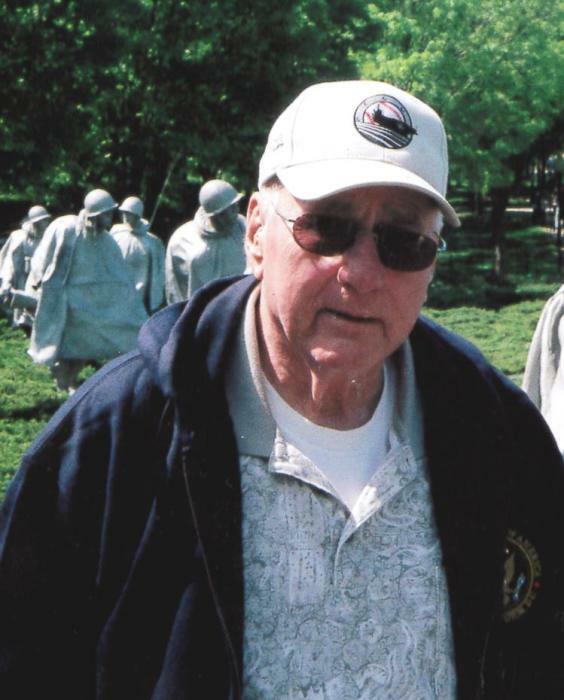 He served as a Sergeant-Field Radio Operator from February of 1952 to February of 1955. On April 12, 1957, Boyd married Sandra D Sherman in Bozeman, MT. They were blessed with 3 children. Boyd worked in drywall construction which took him and his family to California, Tennessee, Hawaii, and back to Montana. Boyd was preceded in death by his parents, Frank and Naomi Nelson; and siblings Frank Jr., Jerry, Phyllis, Lola Bert, Audrey, Francis and Orville. Survivors include his wife, Sandra of Libby; children Ernest Nelson of Newport News, VA, Julie (Kelly) MacDonald of Libby, MT and Jeff (Pam) Nelson of Kenai, AK; brother-in-law Larry (Mimi) Biladeau of AK; sisters-in-law Karon Begeman of AZ and M. Jeri Nelson of Polson, MT; grandchildren K.C. (Karie) MacDonald, Stacey (Ron) Koelsch, Jason (Kara) MacDonald, Kelly (John) Gies, Mike (Erica) Nelson, Lorianne (J.W.) Leseye, Jon Nelson, Nate (Maggie) Nelson, Nic (Abi) Nelson, and Lindsey (Buddy) Whitt; and great-grandchildren Kade, Kody, Bailey, Kylee, Kinsey, Katie, Kolt, Jesse, Genevieve, Edith, Vienne, Emelia, Cole, ZoeJane, Aidaleigh, Anna, Charli, Brody, and Paige. Graveside services for Boyd will be 11:00 a.m. Monday, September 10, 2018 at the City of Libby Cemetery with Military Honors. Arrangements are under the care of Schnackenberg Funeral Home of Libby. Online condolences and memories may be shared by visiting www.schnackenbergfh.com.